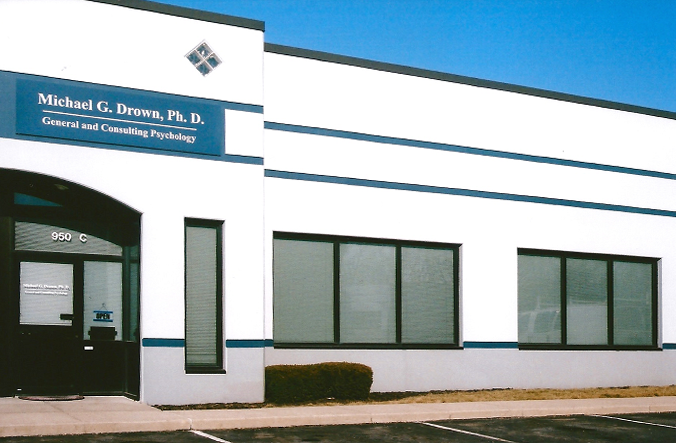 At Michael G. Drown, Ph.D., Psychologist, General & Consulting Psychology we are dedicated to providing our clients with warm, caring and effective service. We have made it our mission to provide effective and practical services for a wide range scope of problems including: Anxiety; Panic Attacks; Depression; Obsessive Compulsive Behaviors; Stress, Frustration & Anger Management; Post-Traumatic Stress Syndrome (PTSD); Stress Problems Related to Deployment; Relationship Problems; Occupational Stress Problems (including Worker Compensation Issues); Chronic Pain Management; Marriage and Family Issues; Grief Issues; Mid Life Crisis; Behavioral Problems, and Support Issues. Special screening evaluations can be done when requested by Medical Doctors for various medical procedures including Spinal Stimulator Implant Surgery and Bariatric Bypass Surgery. Diagnostic Interviewing and possible Psychometric Assessment. My office is conveniently located one mile north of East Broad Street (near Mount Carmel Hospital East) at 950 Taylor Station Rd. Ste. C., Gahanna, Ohio 43230. This office is wheel chair accessible. Office visits are by appointment only. Non-ordinary hours can be arranged when necessary. Copyright 2016 Michael G. Drown, Ph.D.
*Hours can be altered for special reasons.